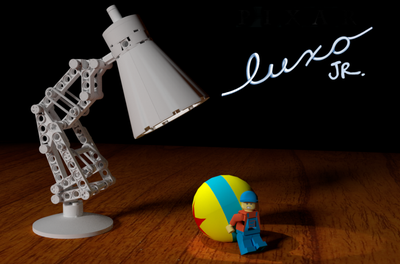 Directly from the PIXAR world, please welcome the most famous animated lamp in the cartoon history: LUXO jr. 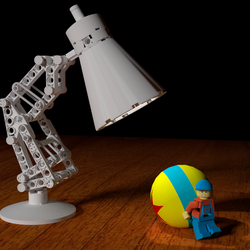 The main picture recall the Pixar short animation of 1986 when we met the famous lamp for the first time. The idea came to my kids last month when we started watching a Pixar movie, and I think it is a great idea! 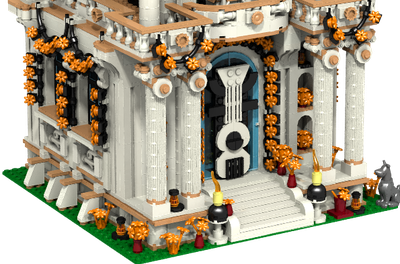 It is movable, of the right size and nice to look at: in other words something you can play with or just use as a great ornament. 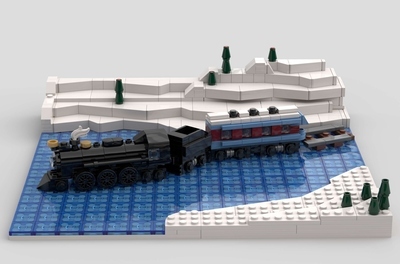 The fact to have a playable set has been a key point for my kids during the development of the project and I'm sure we get it.